WWE SmackDown Results (12/4): Daniel Bryan Joins Miz TV, More! Be sure to continue refreshing the page as results are posted live! 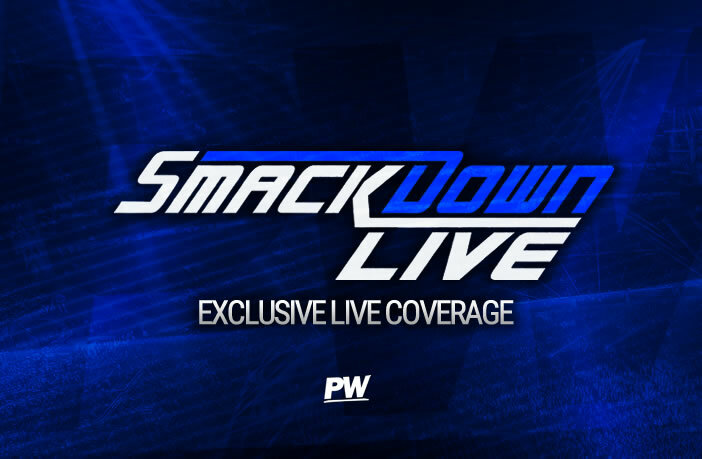 Paige kicks off tonight’s show and says that SmackDown Live isn’t just the land of opportunity, but the place where history is made as she introduces the competitors for the upcoming TLC Women’s Championship match. Lynch says when you are the man, you make history every single time you step in the ring and crashing through a table or being hit by a chair none of the pain is worse than what she had to go through to get to this point. Charlotte then tells Becky to change the song, she states that she picked up the ball that Lynch dropped and that it ook Nia one punch to knock her down. Asuka then tells them to stop, she said that Lynch has already beaten Flair, but Lynch has never beat her and that she would have beaten Ronda Rousey. Charlotte then says that she ended the undefeated streak and Lynch silences them by signing the contract and leaving. Flair then says at TLC she is going to finish Asuka and Paige now has to split them and they sign the contract and are then interrupted by Mandy Rose and Sonya Deville. Mandy questions if this is how Paige wants to make history instead of the two women she personally groomed for stardom in WWE. Deville said she dominated every female in the match last week, but she made one tiny mistake and promises that won’t happen again. Mandy says if she wants to see fire and desire they are looking right at it and Rose asks what happens if they don’t make it to TLC. Paige then makes a tag team match, which happens next! We start with Asuka and Sonya Deville but she quickly tags ni Mandy Rose after Asuka starts to dominate and the Empress Of Tomorrow hits a great dropkick after diving off the second rope as she then tags in Charlotte Flair. The Queen tosses both women out of the ring and then takes to the air, throwing herself over the top rope to take out both women as Becky Lynch returns to the stage. As we return from commercial Rose and Deville are dominating Asuka with Sonya hitting an excellent running knee to keep Asuka grounded. Both women then keep making quick tags in order to keep dominating Asuka, but the former NXT Champion begins to fight back until Rose levels her with a clothesline, only for Asuka to finally make the hot tag. Charlotte Flair quickly sends Rose flying off the apron and begins lighting up Sonya with a series of chops before a belly to back suplex as she changes the momentum, rocking Deville with a massive Spear. Flair can’t make the pinfall though as Rose gets involved and pulls Asuka from the apron. Mandy then boots Charlotte Flair but as The Queen looks to retaliate Asuka has thrown her down and she eats the kick from Charlotte. As Flair goes for a pinning victory Asuka nails her with a dropkick and this allows Deville to gain the victory.